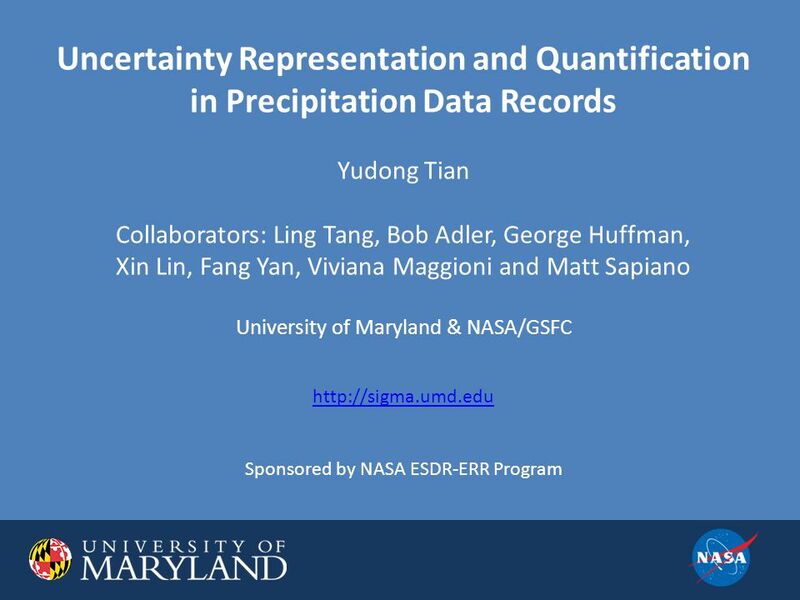 Uncertainty Representation and Quantification in Precipitation Data Records Yudong Tian Collaborators: Ling Tang, Bob Adler, George Huffman, Xin Lin, Fang. 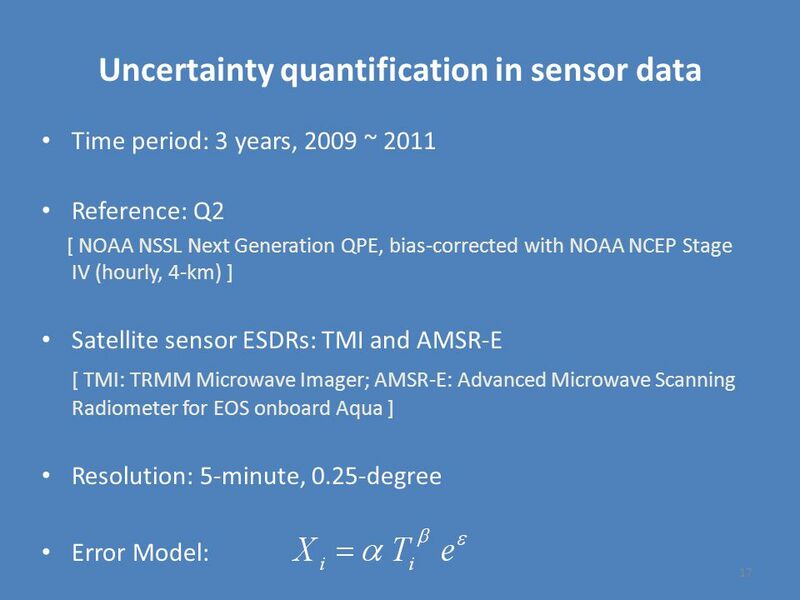 3 Uncertainty quantification is to know how much we do not know 3 “There are known knowns. 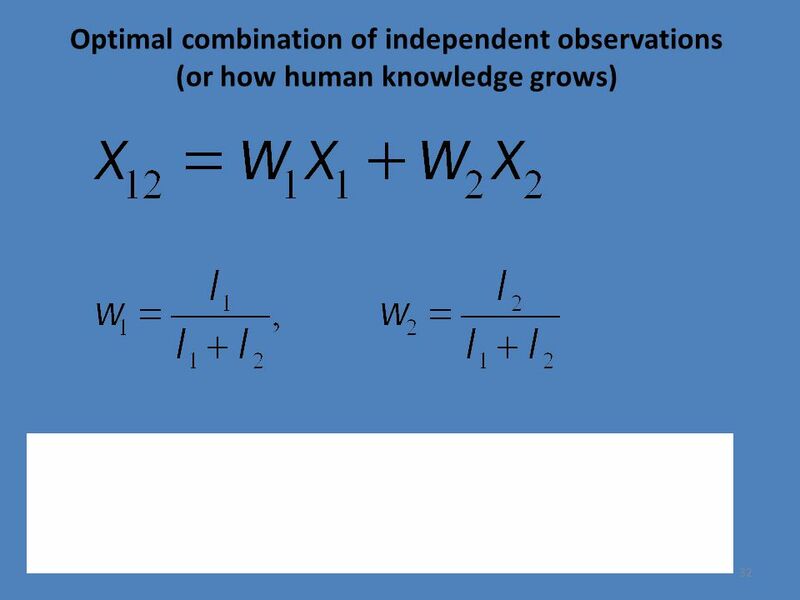 These are things we know that we know. 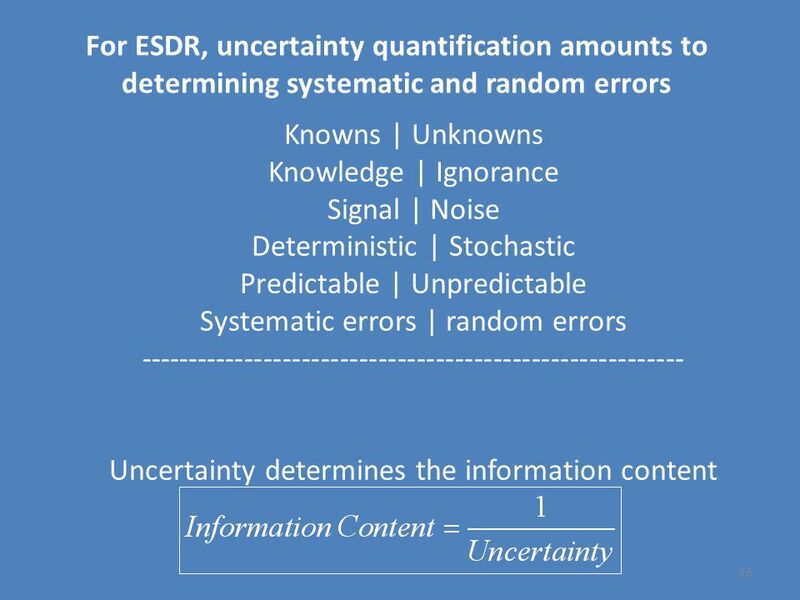 There are known unknowns. 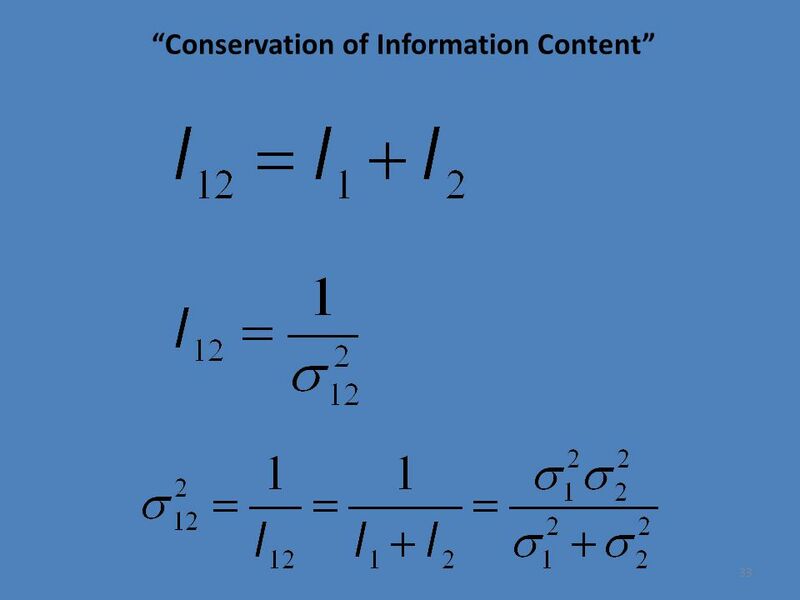 That is to say, there are things that we know we don't know. 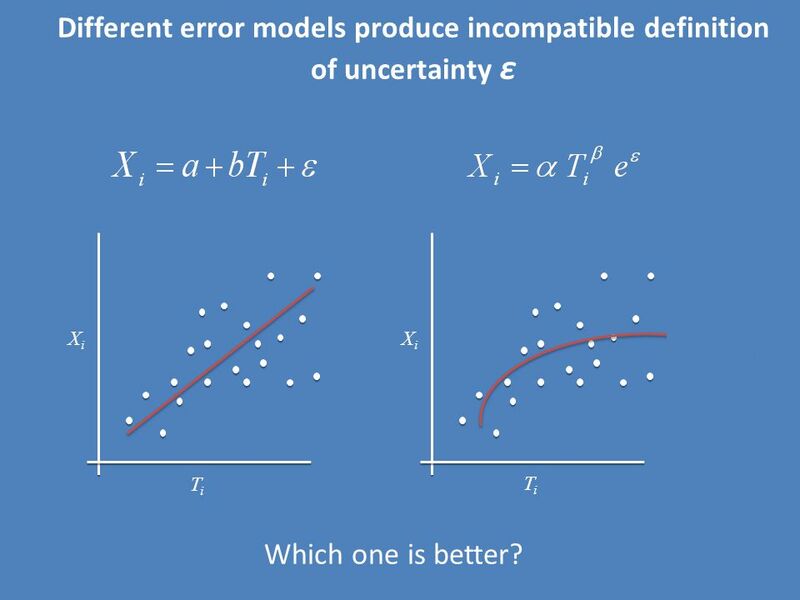 But there are also unknown unknowns. 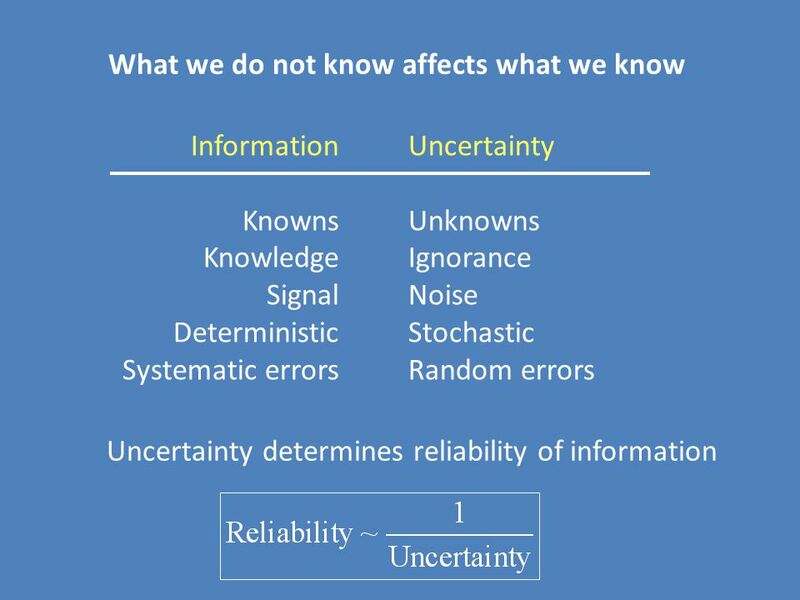 There are things we don't know we don't know.” -- Donald Rumsfeld “There are known knowns. 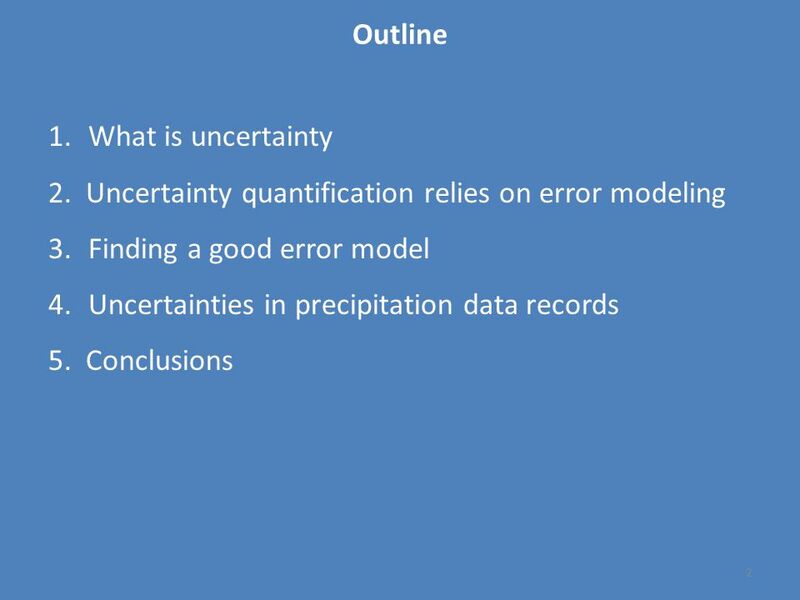 These are things we know that we know.”There are known unknowns. 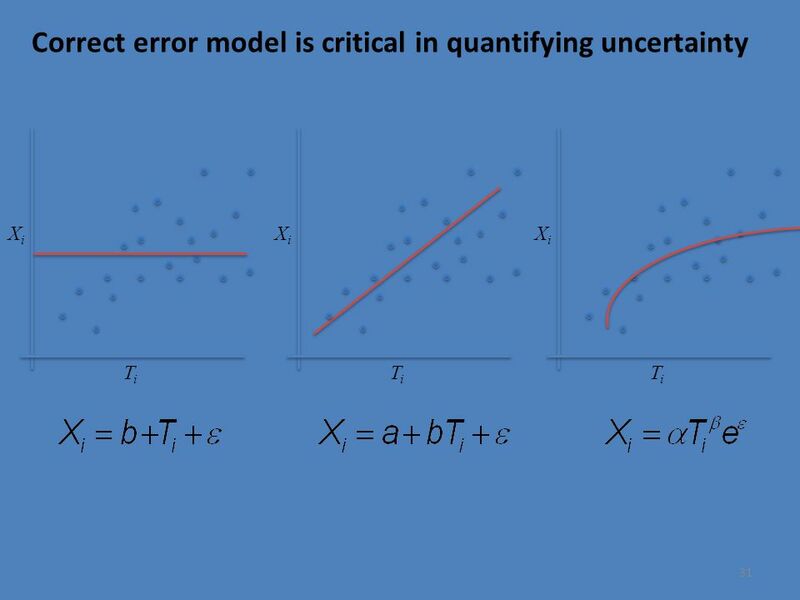 That is to say, there are things that we know we don't know. 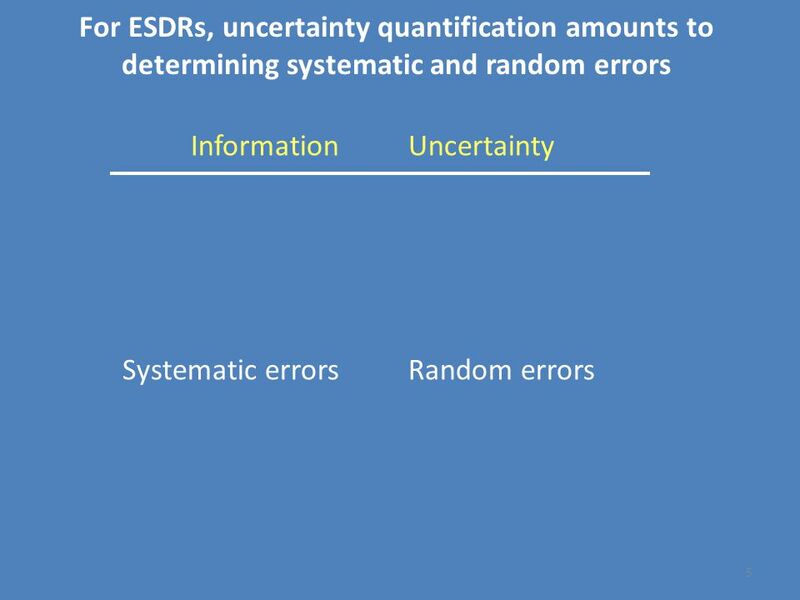 But there are also unknown unknowns. 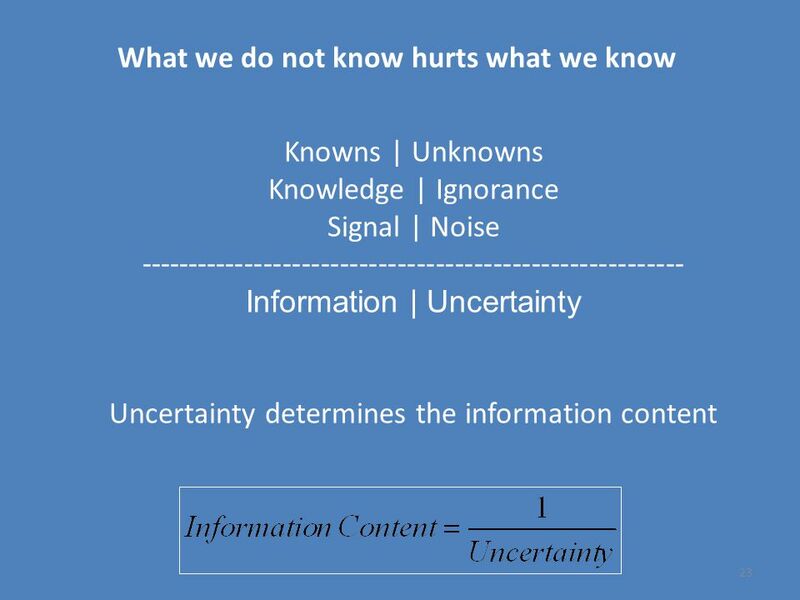 There are things we don't know we don't know.” -- Donald Rumsfeld Information “There are known knowns. 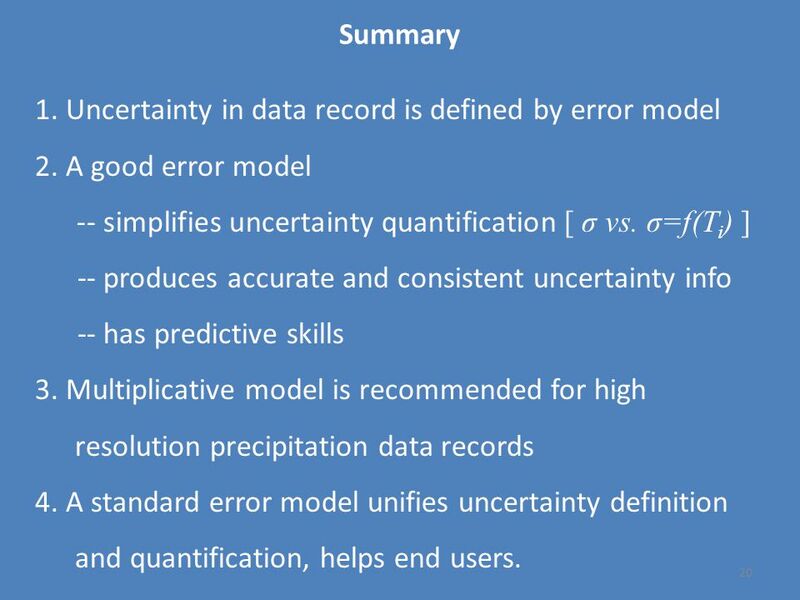 These are things we know that we know. 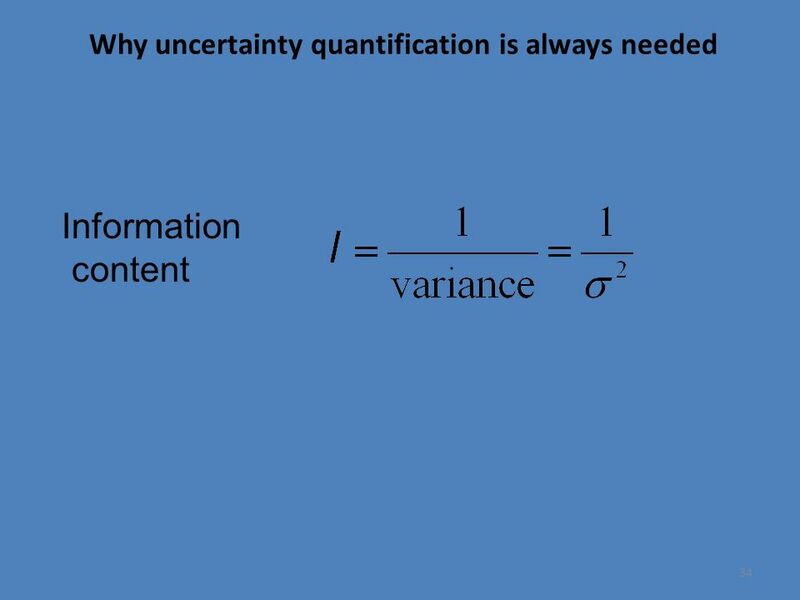 There are known unknowns. 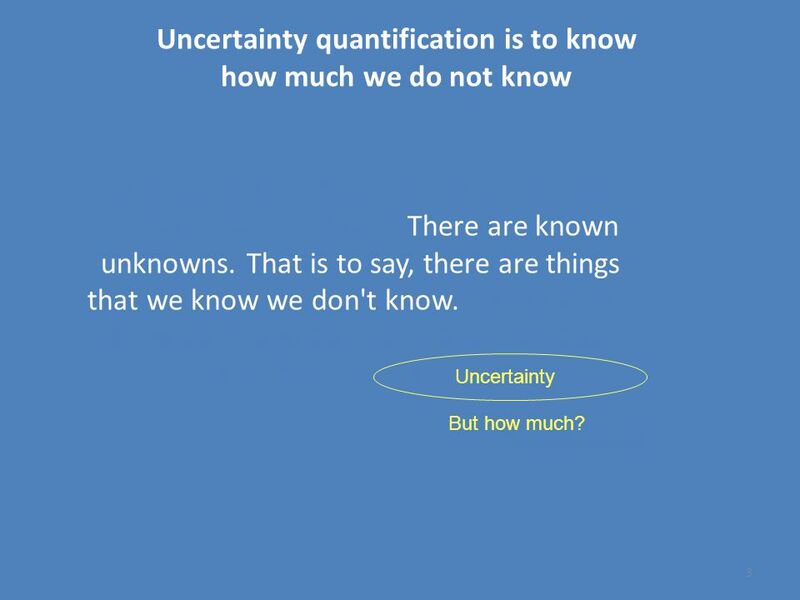 That is to say, there are things that we know we don't know. 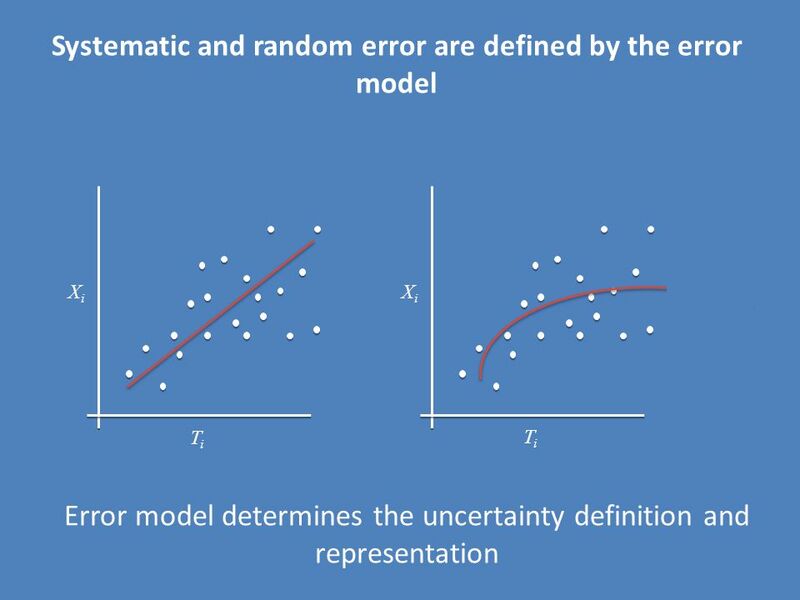 But there are also unknown unknowns. 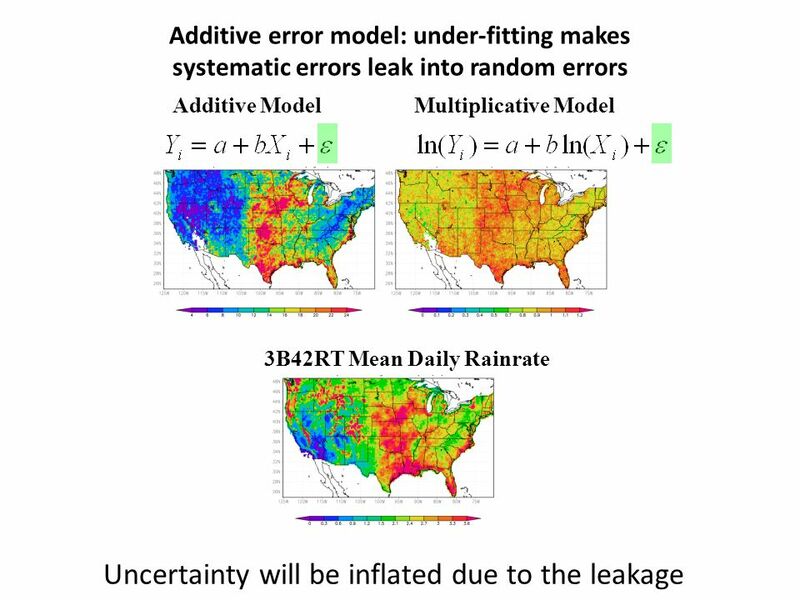 There are things we don't know we don't know.” -- Donald Rumsfeld Uncertainty But how much? 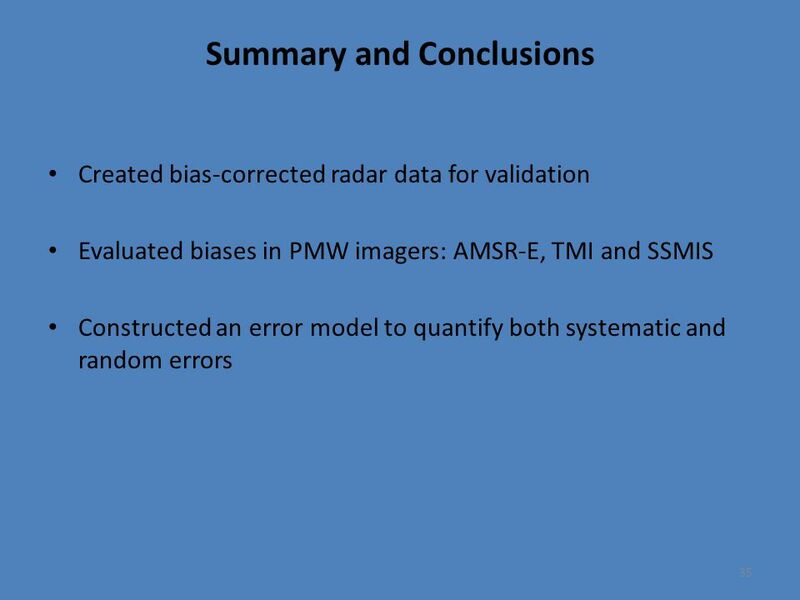 9 1.It cleanly separates signal and noise 2. 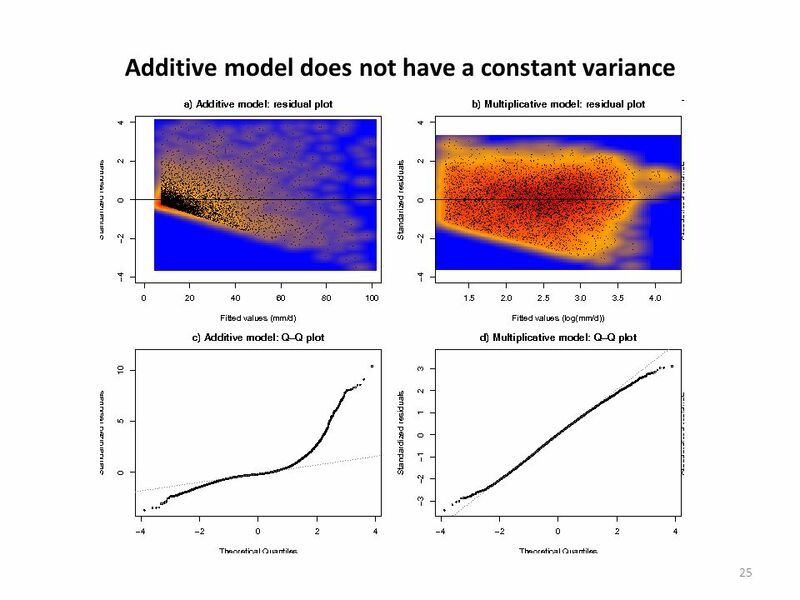 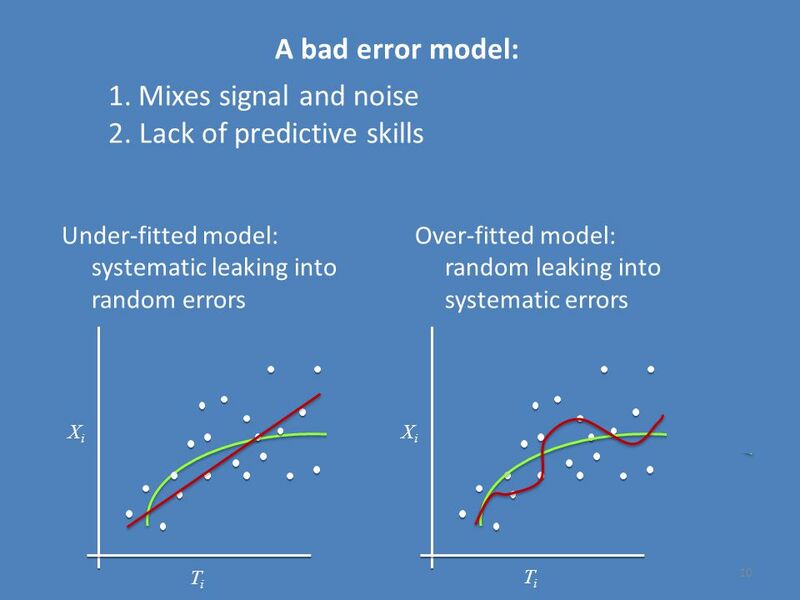 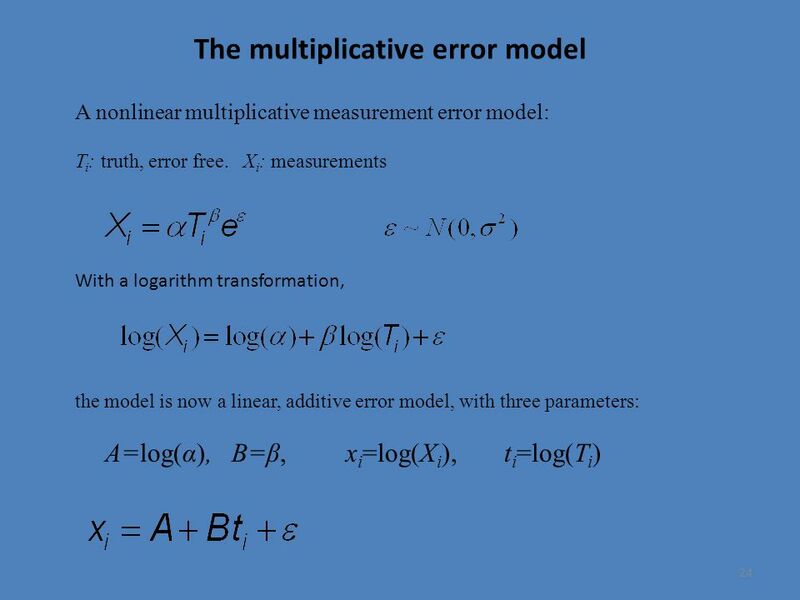 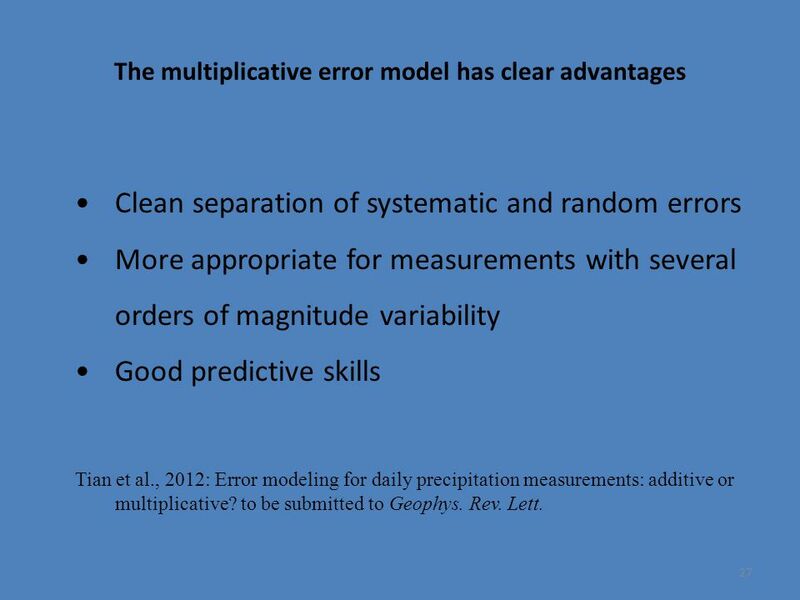 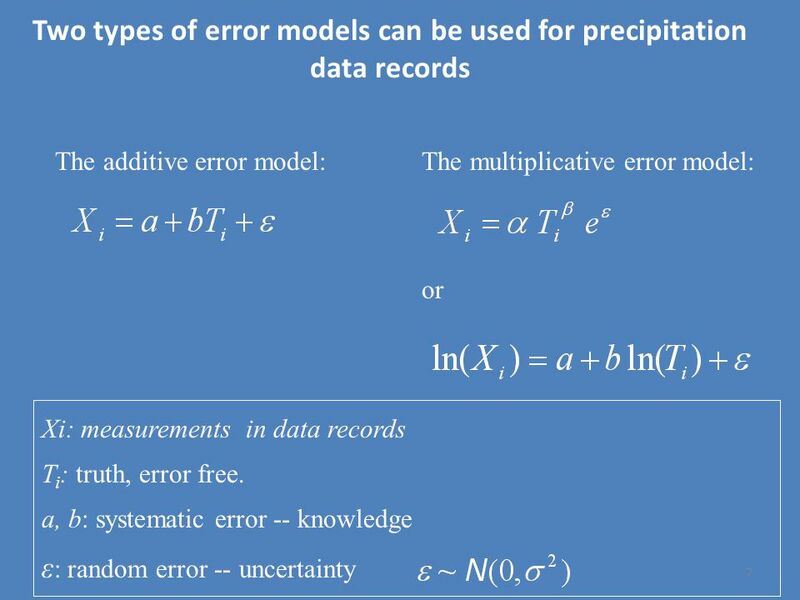 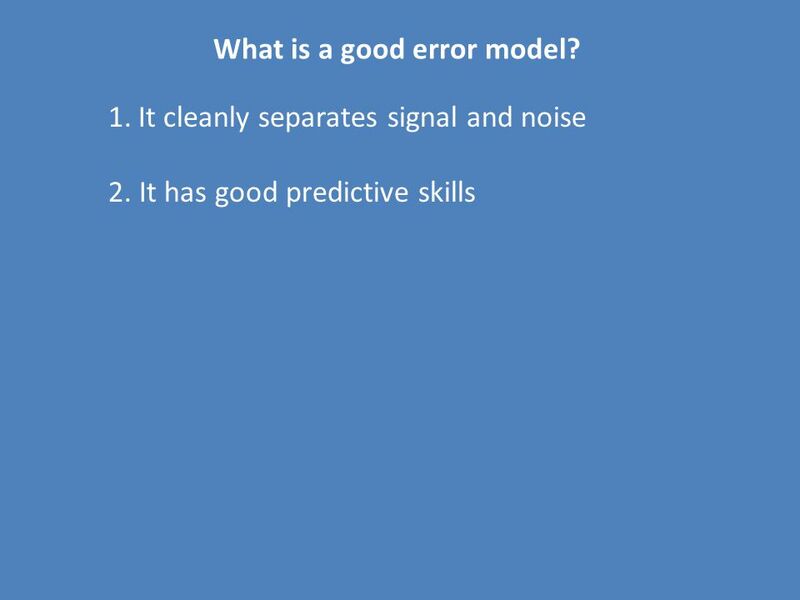 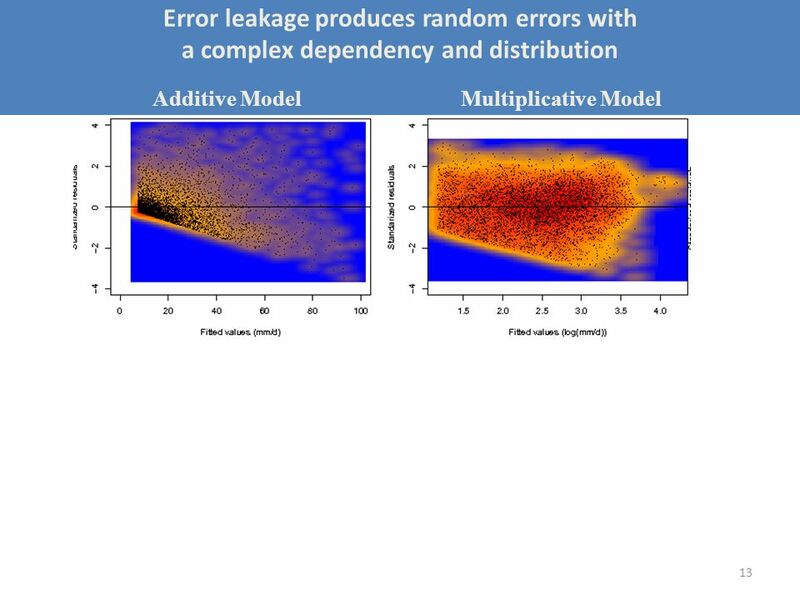 It has good predictive skills What is a good error model? 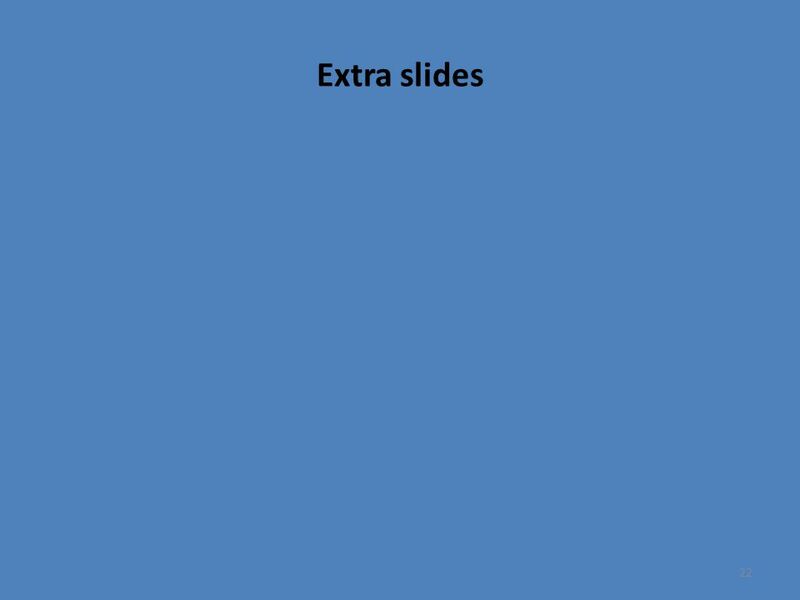 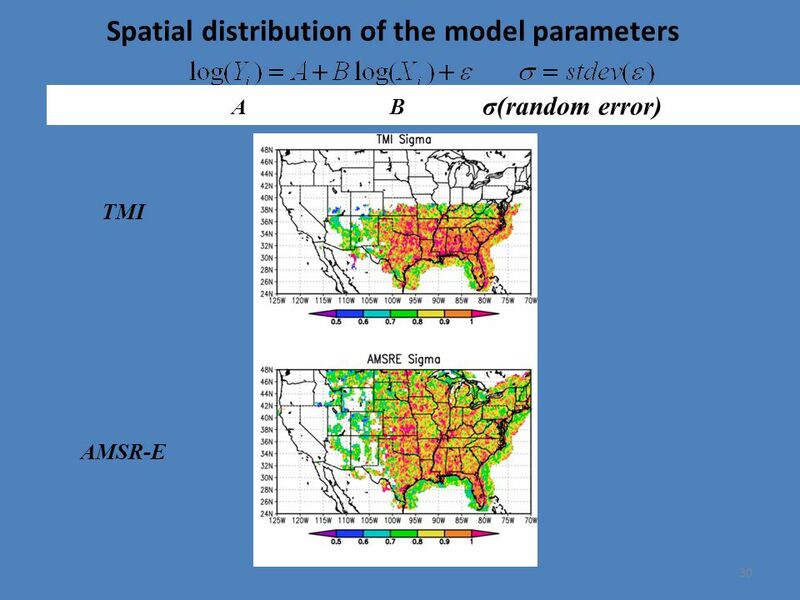 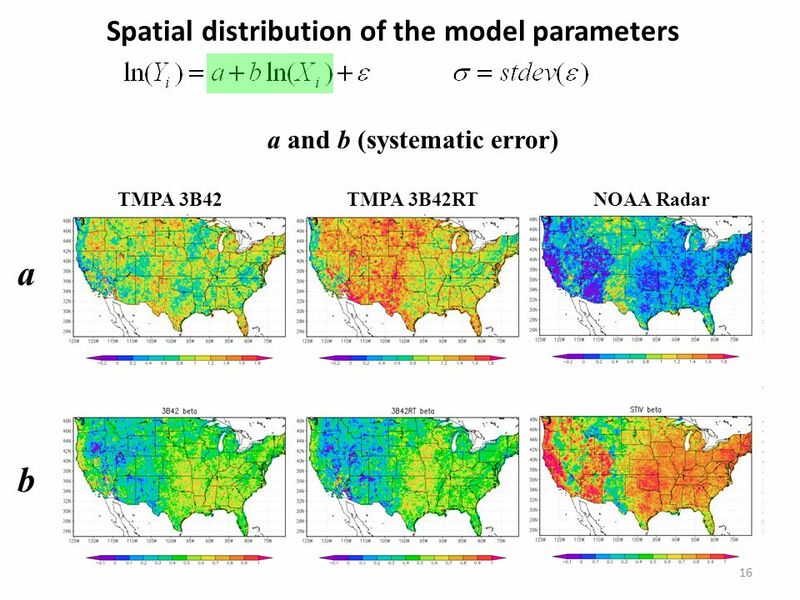 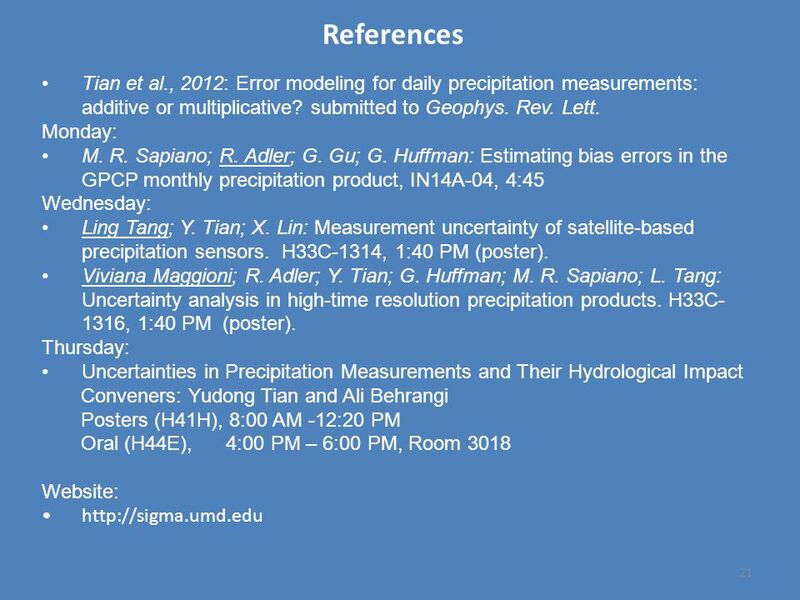 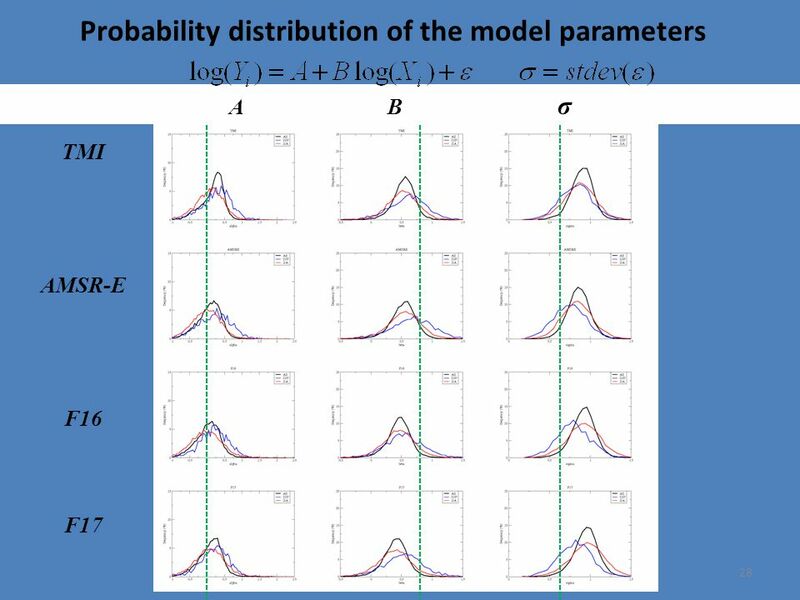 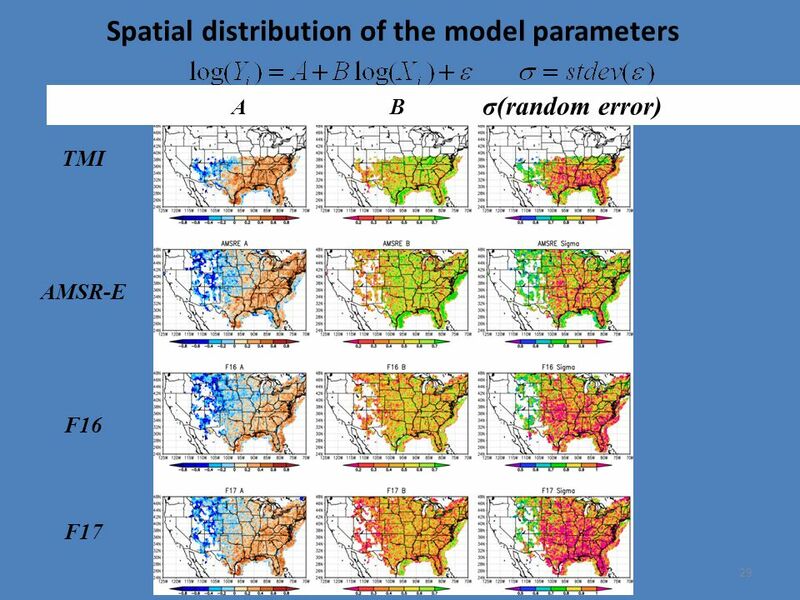 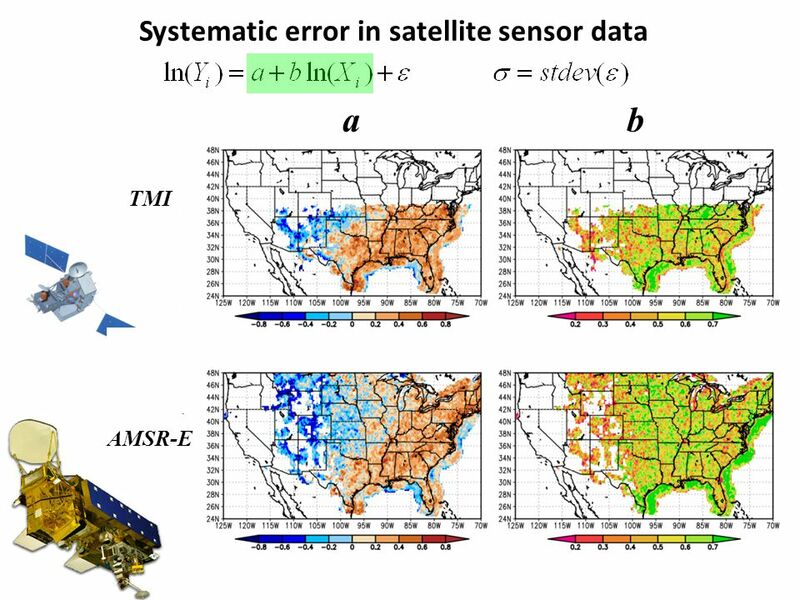 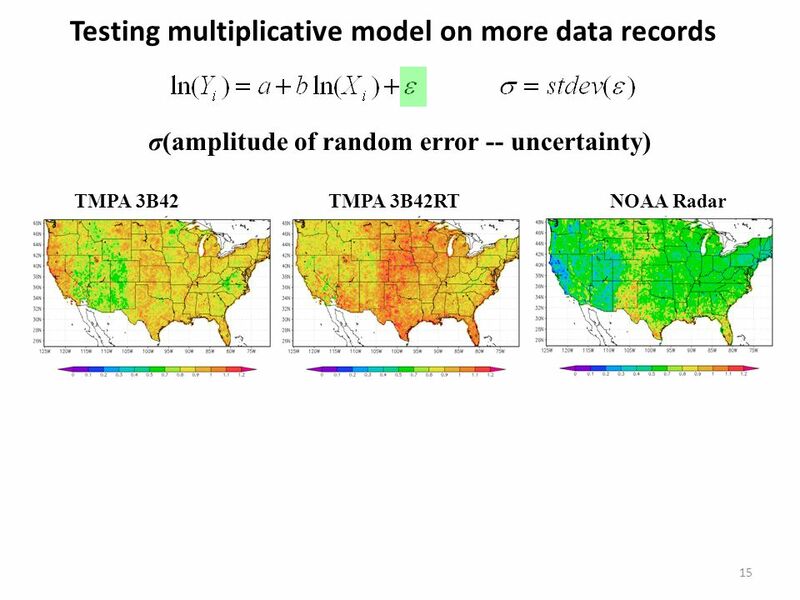 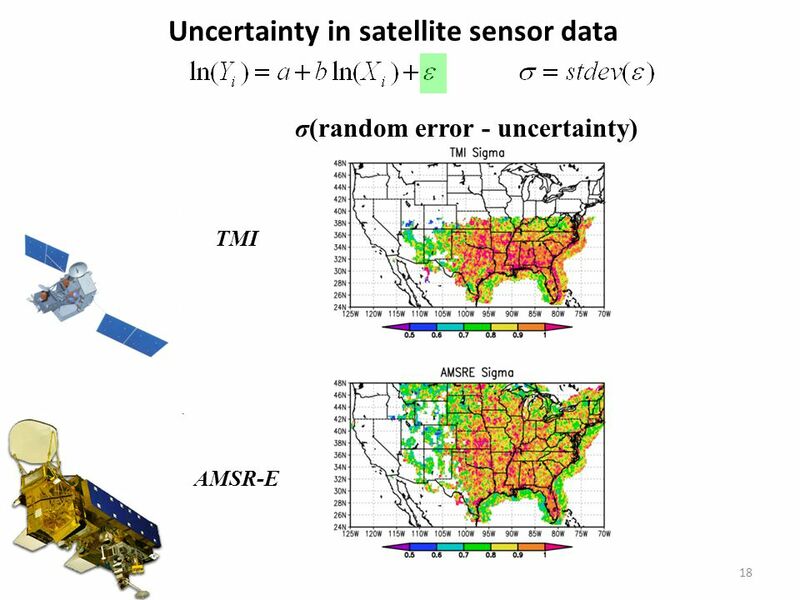 Download ppt "Uncertainty Representation and Quantification in Precipitation Data Records Yudong Tian Collaborators: Ling Tang, Bob Adler, George Huffman, Xin Lin, Fang." 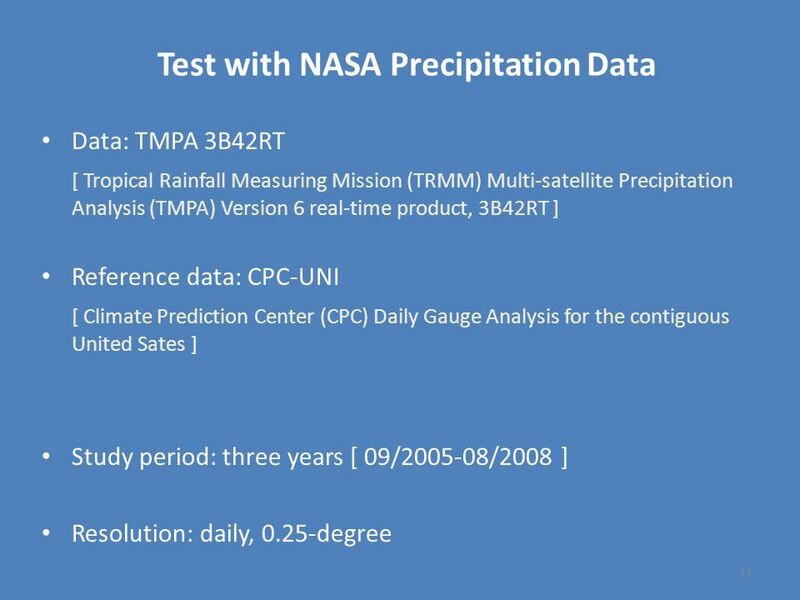 Application of satellite rainfall products for estimation of Soil Moisture Class project – Environmental Application of remote sensing (CEE – 6900) Course.